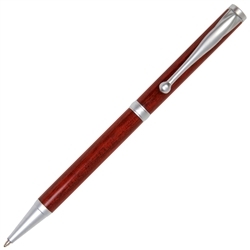 Ballpoint pens are a favourite writing instruments all over the world. The reason for them being so is very simple. They are easy to use, very practical, functional and non messy. For some however, it is not just about how practical they are; they consider these writing instruments something that can be collected. Therefore they go out of their way to find the best and the most unique. If you are one of these people, our pens at Lanier are ideal for you. 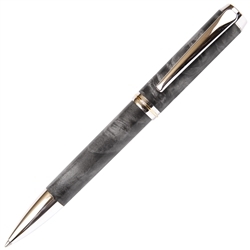 Any pen ballpoint from us is on par with the best names in the industry. We use mechanisms and inks of the highest quality. Therefore if you’ve always admired brands like Mont Blanc and Parker, you can now own a Lanier pen that is very similar and just as good. Our twist mechanism is one of the best that the industry offers and our inks are so fine that you will know nothing but smooth writing once you begin to use our pens. As we have mentioned earlier, we use nothing but the best. All the materials that your Lanier pen is made of are a reflection of this. 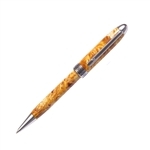 The body of our pens are made from some of the most exotic woods from all over the world. The plating can be done in anything from Rhodium to 24kt Gold. We even offer you additional genuine ink refills for the best results. Because all of our pens are tailor made all of our customers have the option of ordering a pen that defines them. You can choose the wood, choose from the plating option and you can even get your pen engraved. If you intend gifting the pen to someone, you can even choose from a Maple or Rosewood box.